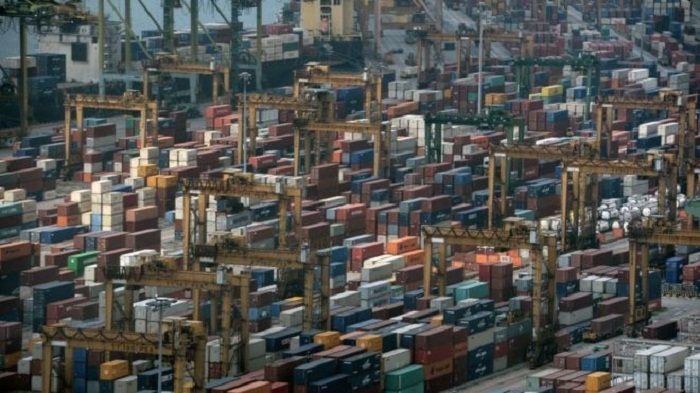 The forklift truck drivers allegedly took S$1 bribes (£0.58; $0.73) multiple times, in return for not delaying the loading and unloading of vehicles. If convicted, Chen Ziliang, 47, and Zhao Yucun, 43, face up to five years in prison and a S$100,000 fine. Singapore takes pride in its reputation as one of the world's least corrupt countries. Both drivers allegedly committed the offence while working at the Cogent Container Depot. Singapore's Corrupt Practices Investigation Bureau said in a statement that employees are expected to work "fairly". "Even if the bribe amount is as low as $1, they can be taken to task," the agency said. "Bribes of any amount or any kind will not be tolerated." The island nation consistently ranks among the least corrupt countries in the world, ranking sixth on Transparency International's 2017 Corruption Perception Index.